The chin is the bottom part of the face. It is under the mouth and is the forward part of the jaw. The chin is unique to present-day humans, our species. It is not present in the anthropoid apes, nor in any other hominin. Even Neanderthals did not have a human-type chin. In medical anatomy, the chin is called the "mental eminence". Its absence in Homo floresiensis is grounds for thinking that small hominin was not of our species. 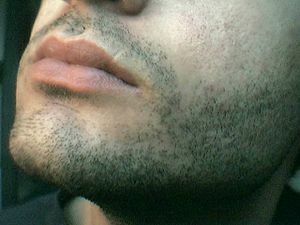 It is thought that our chin may have become shaped like this to improve the muscle attachments of the lips and tongue. 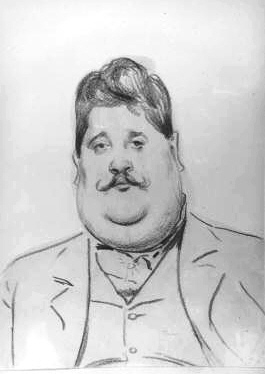 Chins can be larger or smaller, depending on the person. Even though chin sizes vary a lot, it is usually further forward than the rest of the face in normal humans. Chin Facts for Kids. Kiddle Encyclopedia.